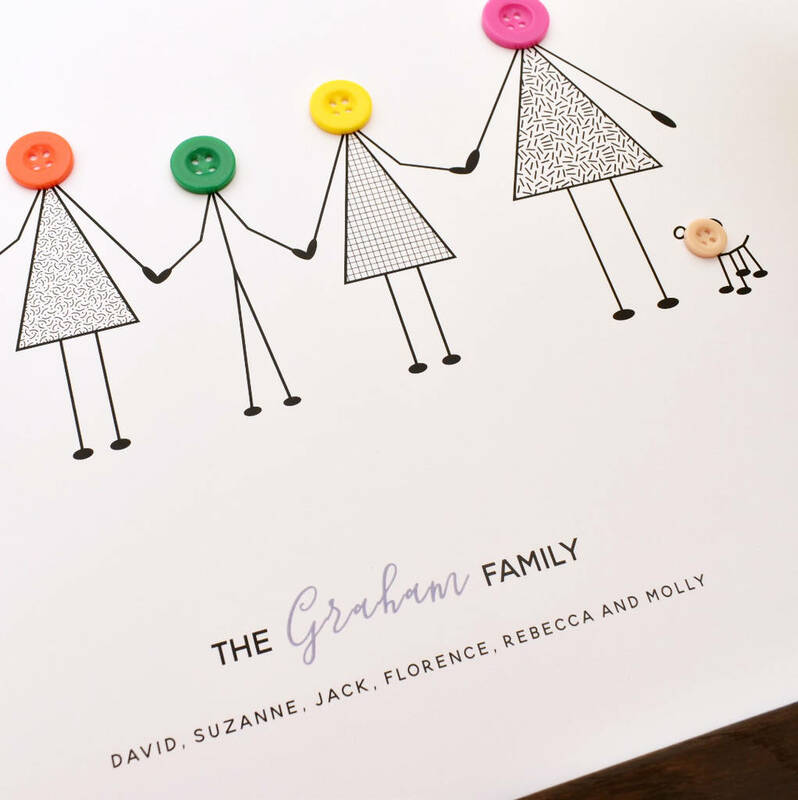 A mrs L cards best seller, this unique personalised button family print collects the whole family together as one. 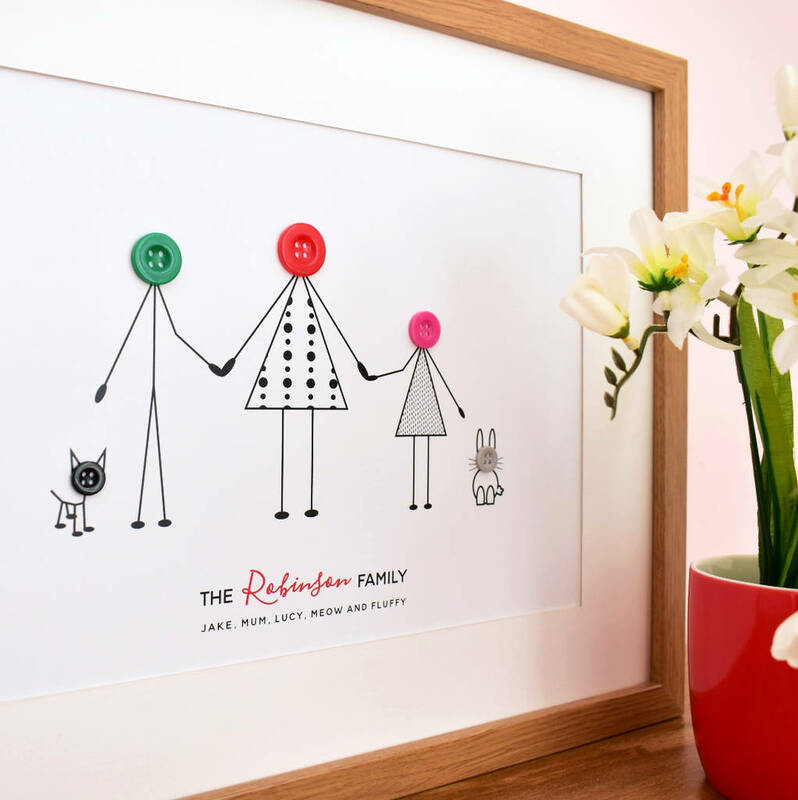 The family is made up of a simple but effective design of cute stick people and pets with colourful button heads. 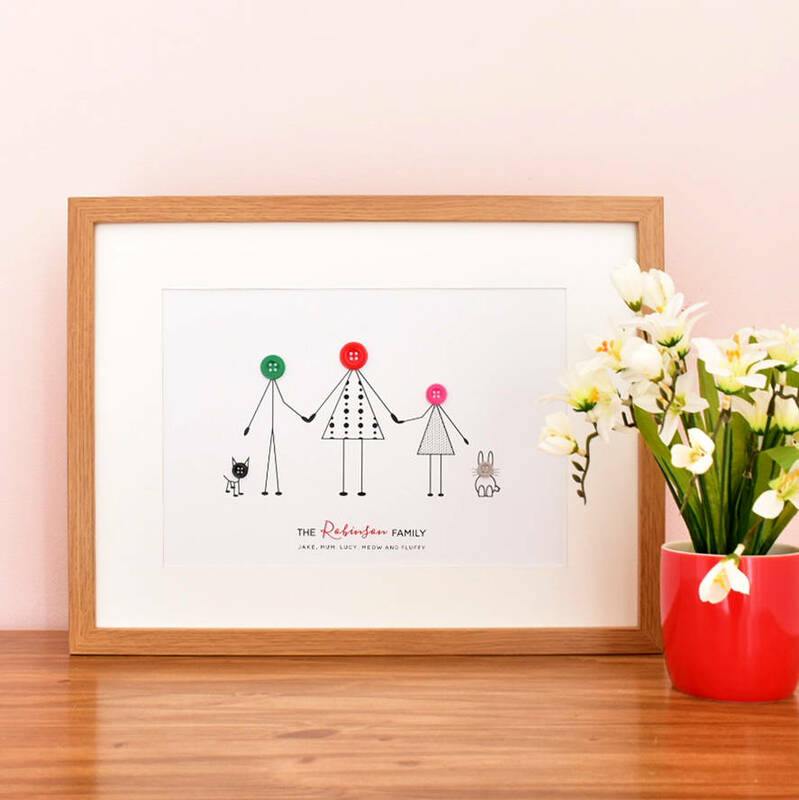 Girls and women/mums shown have dresses with the black and white contemporary graphical prints. 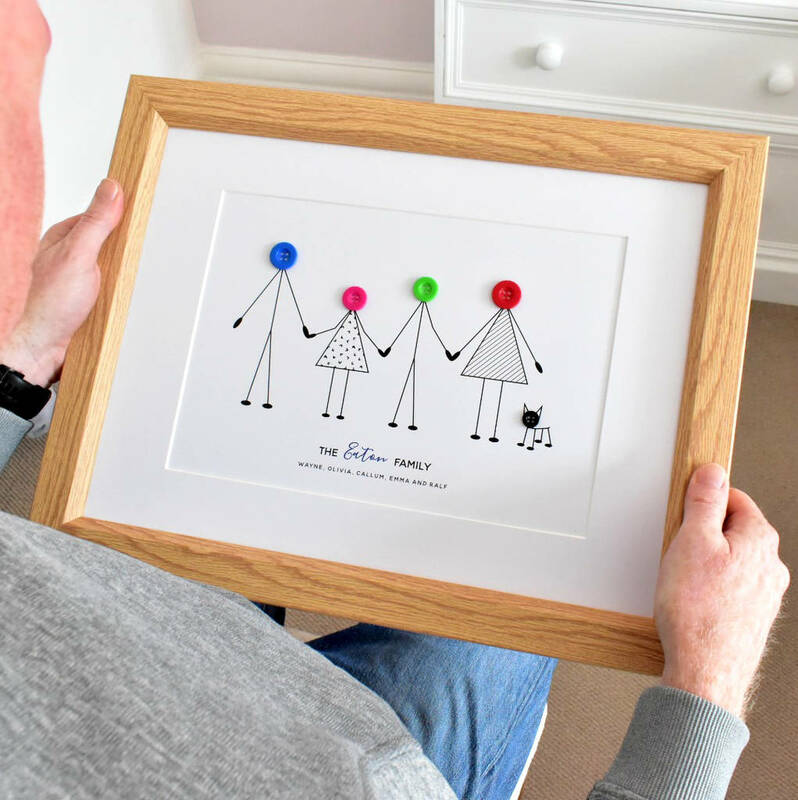 Your individual family are all standing side by side holding hands with the parents on the outer side of the children, generally the male on the left and the female on the right if appropriate. 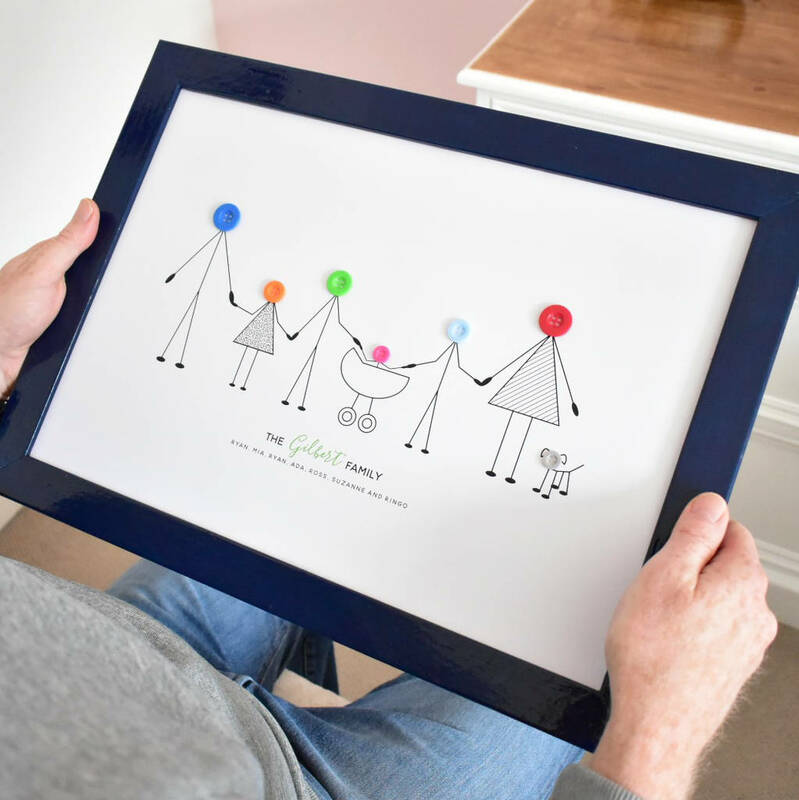 Beneath this is the family surname and then the list of family names. 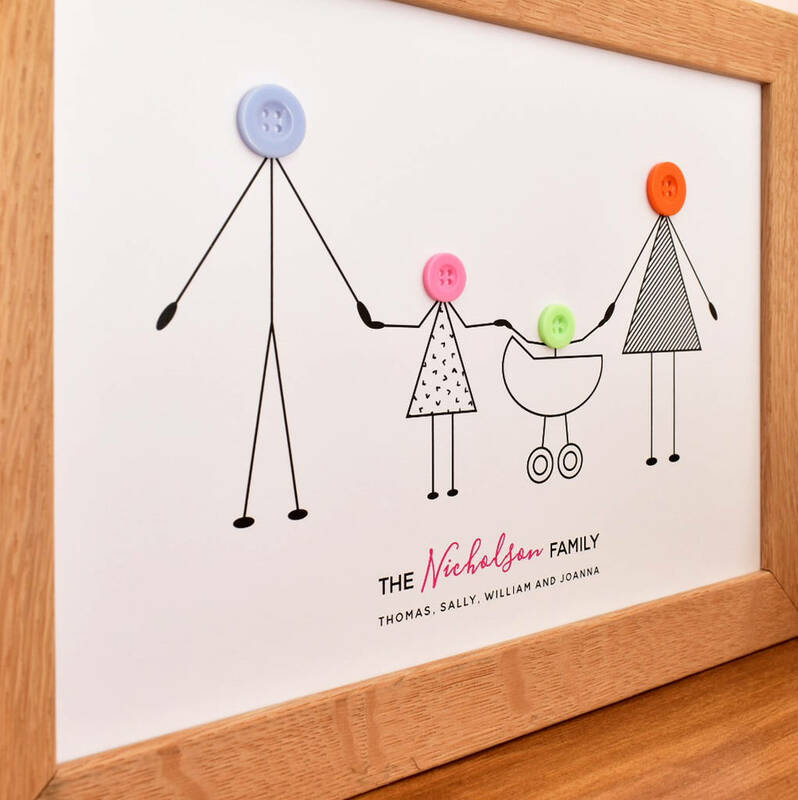 Alternatively if you do not wish to add a surname you may just add "Our Family". 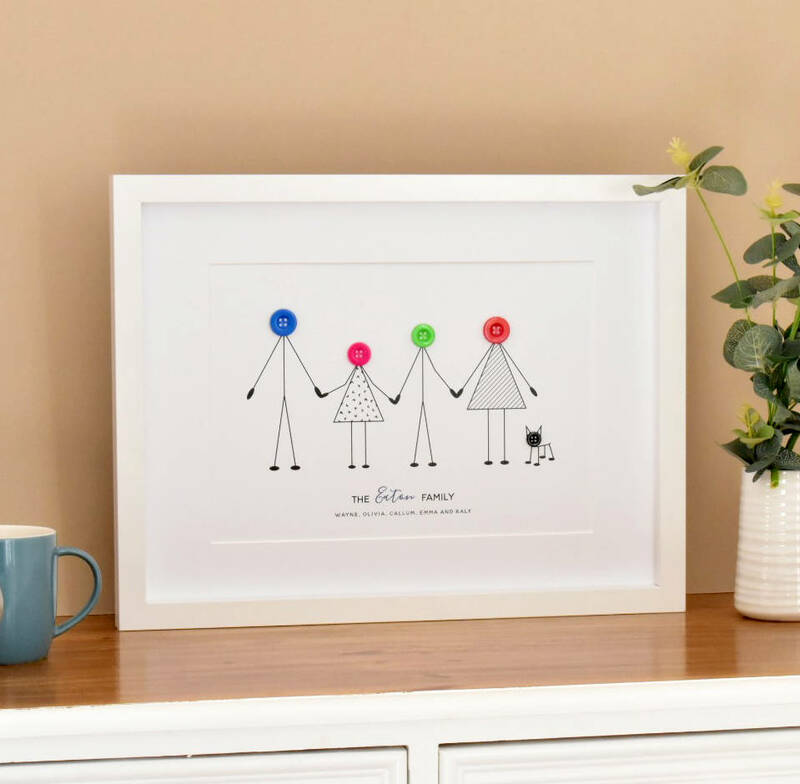 The layout of the text will go for example "David, Sally, Sarah, Muffin and Charlie" where David, Sally and Sarah are the family and Muffin and Charlie are the pets. 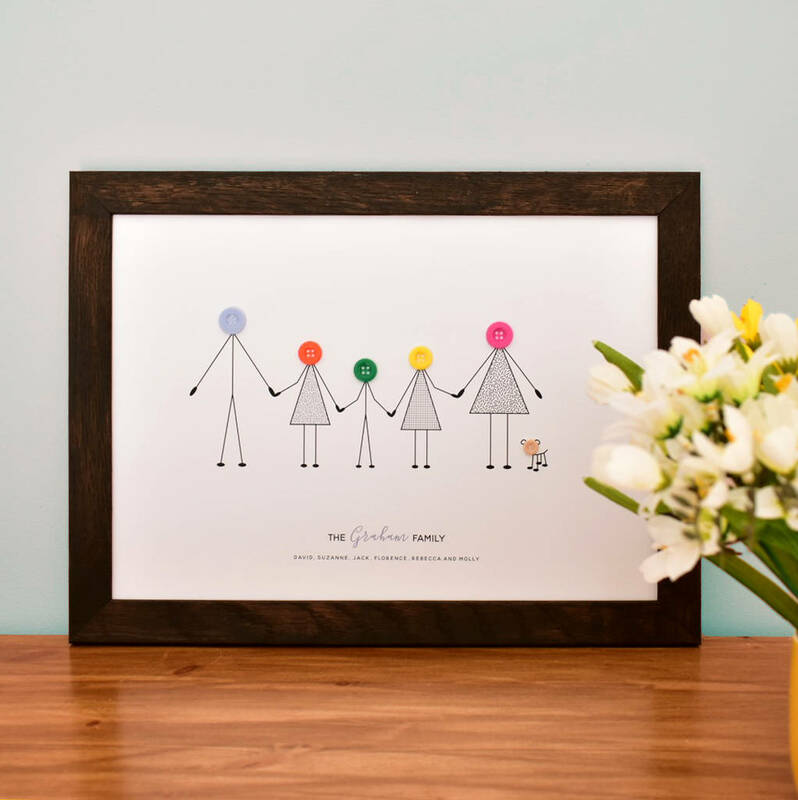 The surname of the family is picked out in the colour of your choice. 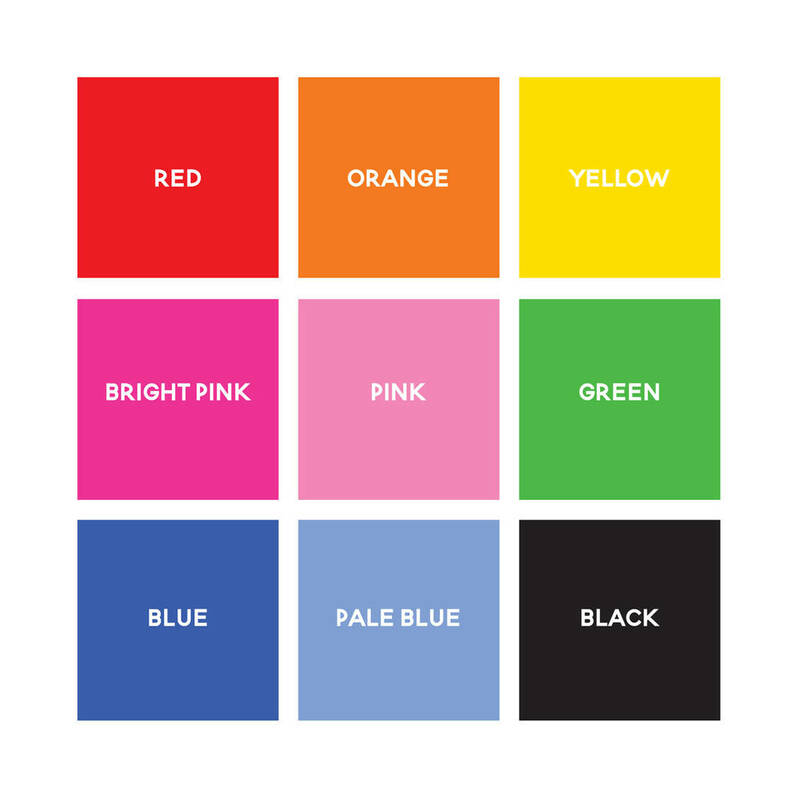 There are nine different colours to choose from. If you would like any amends to the layout please enquire first. 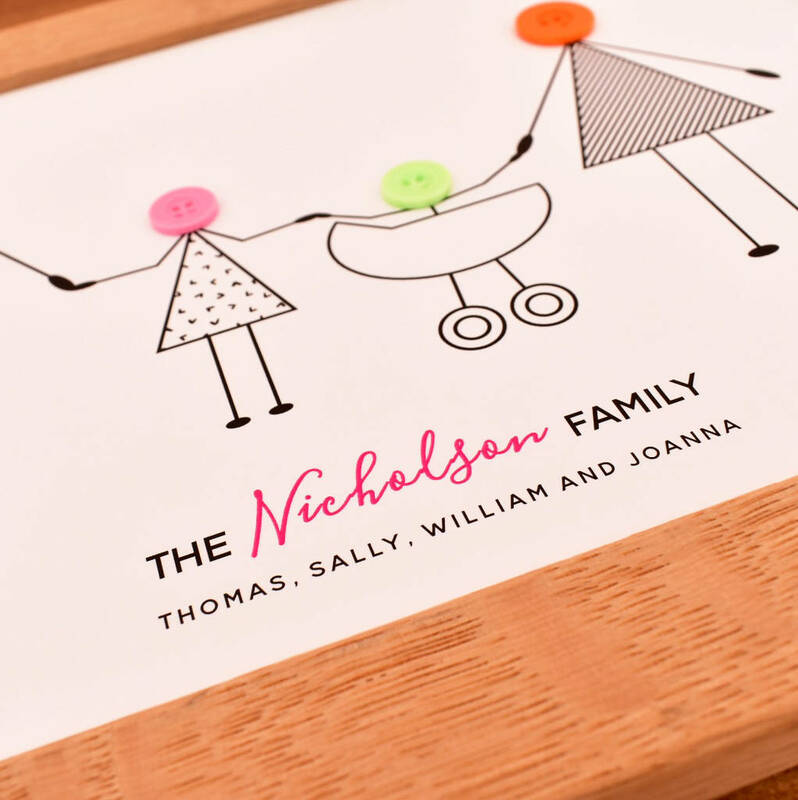 This unframed personalised item is printed on 300gsm white card. 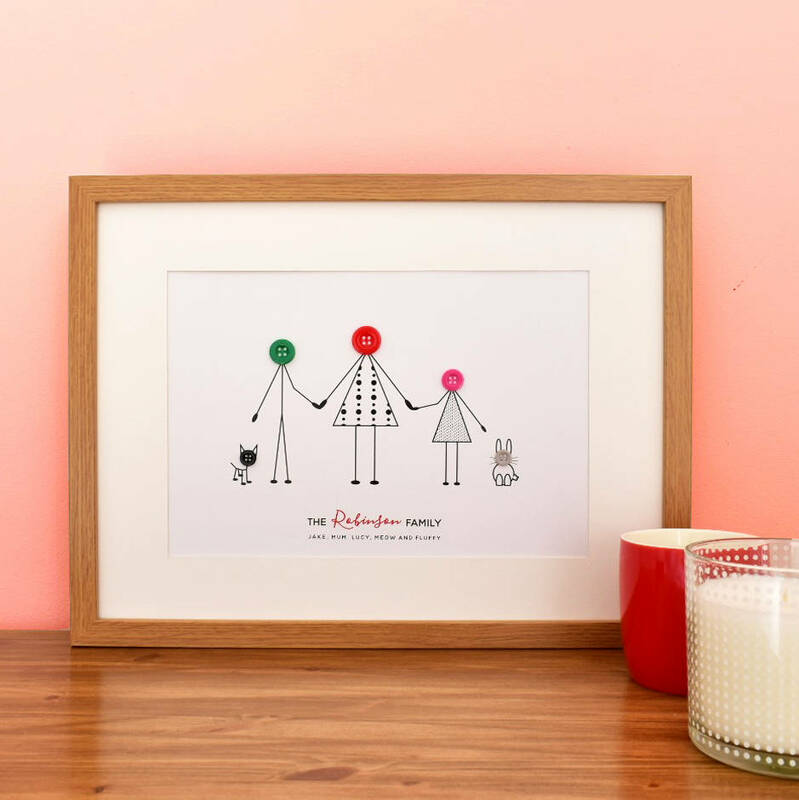 The A4 print is supplied in a board-backed envelope, the A3 print is supplied rolled in a cardboard tube. 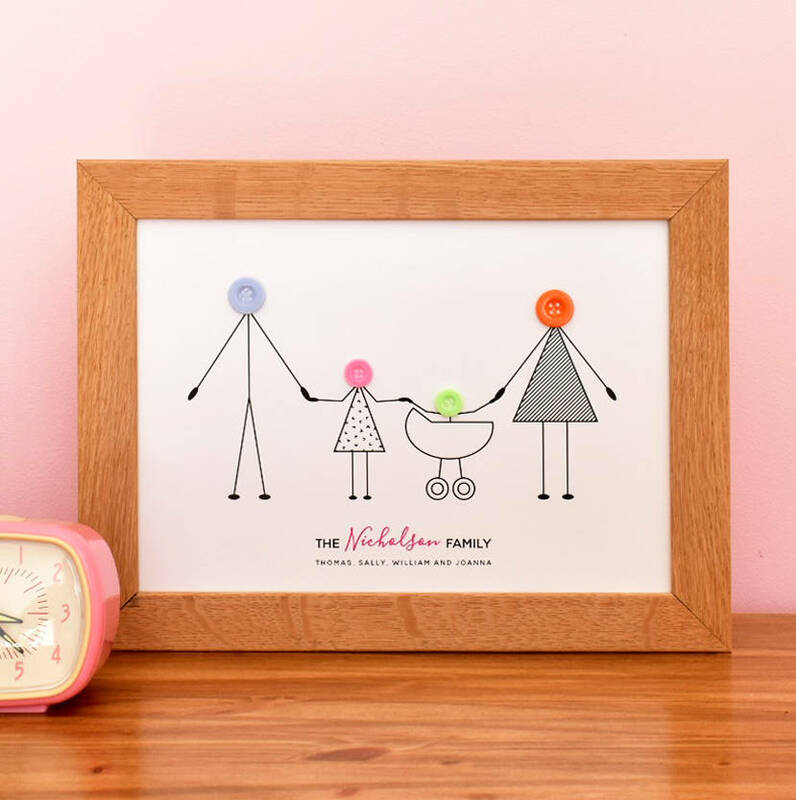 This product is dispatched to you by mrs L cards.